Govt Job for Project Assistant (PA-II) - M.Sc., M. Pharmacy / M. S. Or M.Tech. 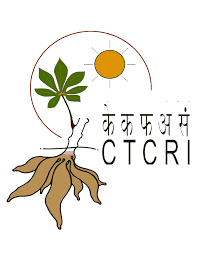 Job responsibilities / description ( उत्तरदायित्व) : The selected candidate will work on the DST-SERB funded project entitled “Studies on macrolide antibiotics: Application of genetic approaches for drug discovery” and has an opportunity to be registered for Ph. D. program upon fulfiling required criterion. Selected candidate is expected to prepare microbial / algal extracts and carry out bioassay-guided fractionation to isolate pure compounds employing chromatographic methods & determine their structures using advanced NMR and MS techniques. How to apply for CSMCRI vacancy ( आवेदन कैसे करे ) : Application form can be downloaded from www.csmcri.res.in. Interested candidates may submit their applications through email to pramodshinde@csmcri.res.in. Application package should be a single PDF file consisting of application form, recent CV, certificates supporting educational qualifications and experience, and publications if any and must reach before 15th February 2019. Shortlisted candidates will be requested to appear before the Selection Committee interview at CSIR-Central Salt and Marine Chemicals Research Institute, G. B. Marg, Bhavnagar-364002 (Gujarat) on 18th February 2019 at 9.00 am. Candidates are also requested to bring with them the following documents in addition to one set of application package: 1. Original Certificates(s), Mark sheet(s) (Degree.) of the educational qualifications, certificate in support of the date of birth etc. mentioned by you in your application. 2. Original Experience Certificates, Testimonials, Papers, etc. 3. In case you are employed in a Government/Semi-Government or Autonomous Organization, you should bring with you a No Objection Certificate from your present employer otherwise you will not be allowed to appear for the interview. The position is purely temporary; initially the selection will be made for one year and will be extendable based on performance of the candidate to the maximum duration of 3 years. It would, therefore, not confer any right/claim implicit or explicit for any candidate for claiming extension or absorption in CSMCRI/CSIR. No TA/DA will be given to attend the interview. Detail of interview: 18th February 2019 at 9.00 am.